Hey Nalu Readers!! Happy Monday! Christmas is coming up and I had such a fun time eating and taking pictures at Ponce City Market. 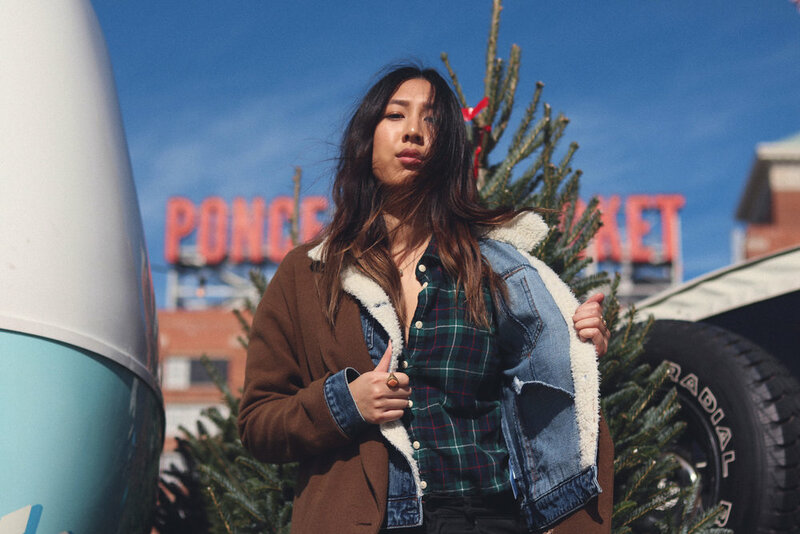 If you live in Atlanta, GA Ponce City Market is not only a fun place to hang out during the holidays, but they have yummy food and really unique shops to look around. This festive outfit is super warm and cozy and I love it! Keeping this post short, I paired this plaid flannel top with just simple black jeans tucked in and black booties. 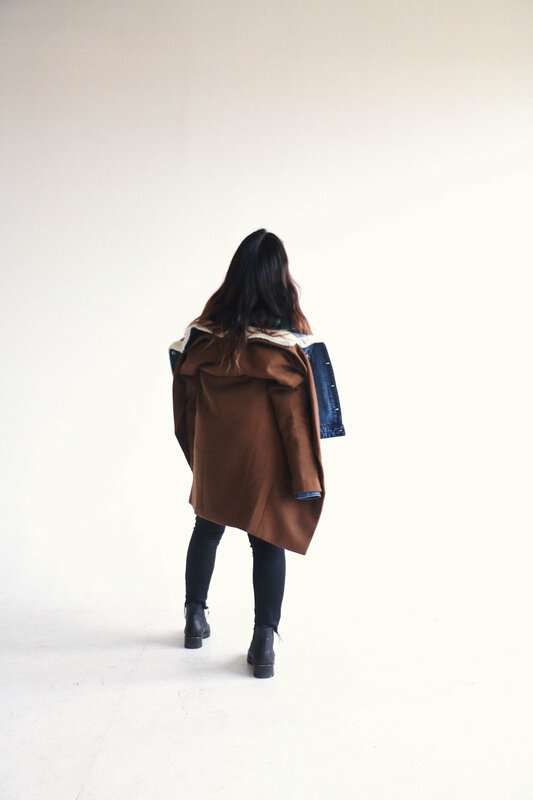 The two jackets that I am wearing are a sherpa jean jacket and just an oversized blazer jacket. FUN FACT: don't let the Christmas trees fool you that it is winter, it was super hot this day and I totally didn't need to wear a jacket. Oh, Atlanta weather.